Hey girls (& pretty boys)! I don't know about you, but I do wear makeup whenever I have to go out to running some errands. I know some of you don't bother apply any makeup if it is just for running errands. I do not have even complexion and my acne-prone skin only make it worse with pimples and scars on my face. Hence, the makeup application. Trust me, minimal makeup look can make a huge different too! Here I am using just four products from Canmake cosmetics for my everyday makeup routine. These are some of my favorites too! 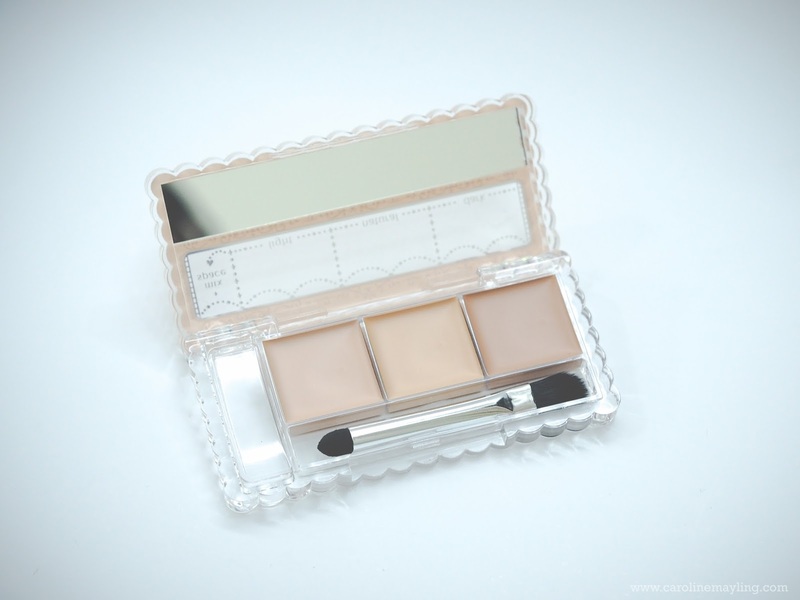 Lately, I've been skipping my foundation and apply this amazing Color Mixing Concealer instead. 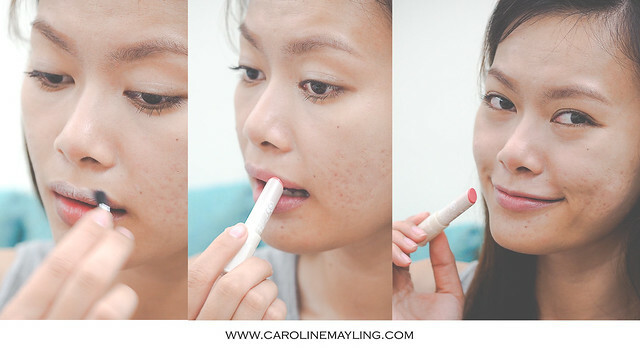 I used to avoid concealer by all means due to it causes breakouts to my sensitive skin, but not this one. It has a skin-friendly formulation that is free from tar-based pigments, preservatives, UV absorbers and fragrance. Not only that, it also contains sodium hyaluronate, squalane, and di(phytosteryl/octyldodecyl) lauroyl glutamate that works as moisturizing agents to the skin at the same time. Oh! It also has SPF50+ PA++++! I love the simple packaging and you can simply keep it in your makeup bag whenever you go with handy size. What I love about this concealer - it comes in three different shades (light, natural and dark shades) and also has a mixing space where you can mix the three colors to create the right shade to conceal different types of blemishes or spots on your face. The mini brush that included in the palette has two applicator tips - tapered brush and blending brush. The cream concealer has a silky and light texture, and you can easily blend it with the brush or your (clean) fingertip! 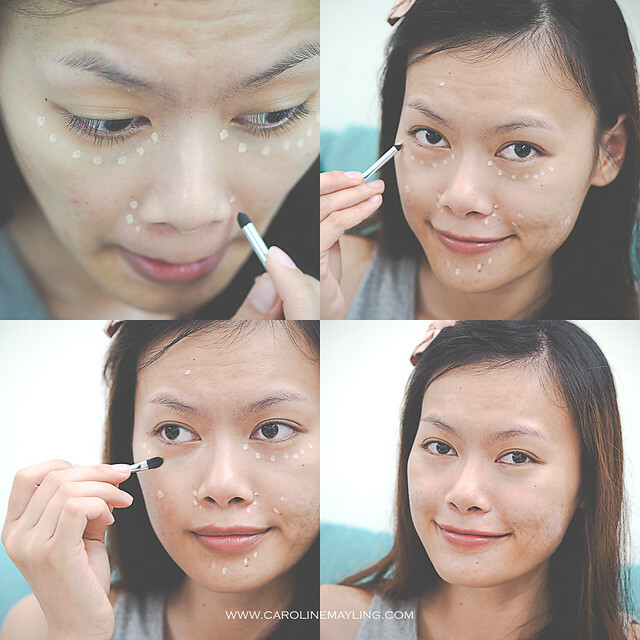 After applied the concealer on my dark circles and blemishes, I would apply powder depending on my skin's condition. With my sparse eyebrows, I will NEVER step out from the house without drawing my eyebrows! Hence, I can't live without eyebrow products! I have tried quite a number of eyebrow products, but this is my first time see such unique eyebrow pencil. 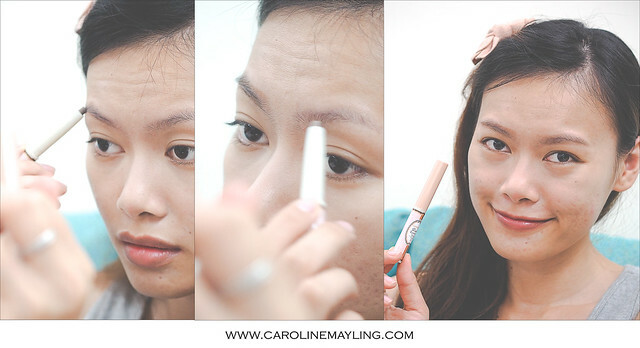 Canmake's Dual Eyebrow Stick features a soft 4.9mm broad tip and it has two different shades (light and dark) in one product! Again, you can either use two different shades individually or mix it up. The best part about this product - it is waterproof! 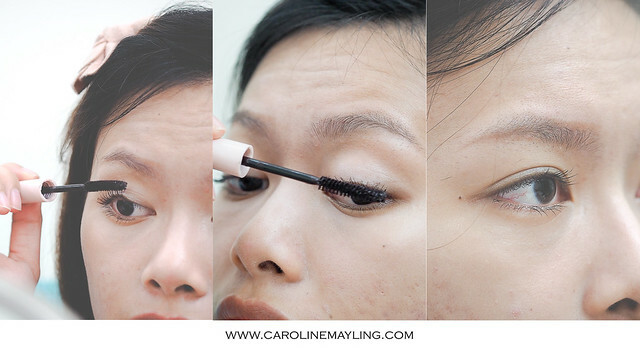 For everyday makeup routine, I won't spend much time on my brow to define them precisely. I would just filling up the sparse area of my brows and am good to go. 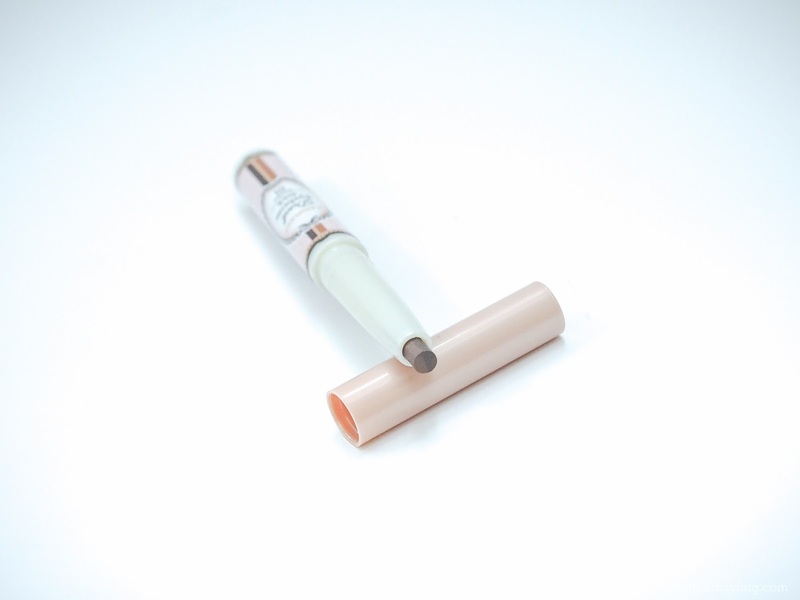 With this brow stick, you are able to create smokey eyebrow look by mixing the shades! Another product that I would not want to skip is mascara! If you're having double eyelid and hooded eyelid like me, you wouldn't fancy eyeliner unless you have the time to draw them nicely and wing it up better way to make your hooded eyes more awake. When it comes to hooded eyelid, you will definitely need to put some effort to curl your eyelashes so that they are perfectly curled and flared out nicely before applying the volumizing + lengthening mascara. Guess what? 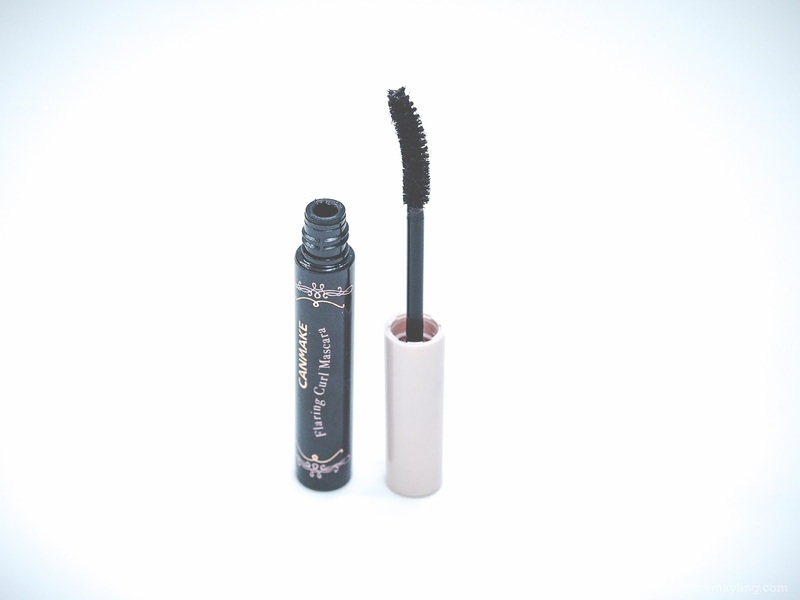 Canmake has created this amazing Flaring Curl Mascara that gives you perfect curl with staying power! I never thought I would fall in love with this mascara! It contains silky gel to eliminate clumping and create luxuriant, perfectly separated lashes. Yes, my lashes are well separated and curled up too (without much effort on curling)! Let's talk about the shade. It's not black nor brown, but darker shade of brown (brown fluid + black fibers). I really love how this shade gives you that sophisticated look. And, it's light and didn't weight my lashes down all day long! That's all I need for my everyday eye makeup routine. If you have oily lids, feel free to apply any natural color matte eyeshadows on your eyelids. To finish my everyday makeup look, I've been adoring this lovely Just For Me Essence Rouge lipstick (pink coral) for the past entire month. The lovely packaging features a ring motif with a crystal highlight on its cap that somehow look like an engagement ring. The base is also designed to be the same size as a size 9 ring that symbolizes Canmake hoping that all girls who wear this lipstick will be lucky in love. How sweet! Believe me or not, I was first wondering if it is a lipstick or a lipbalm. 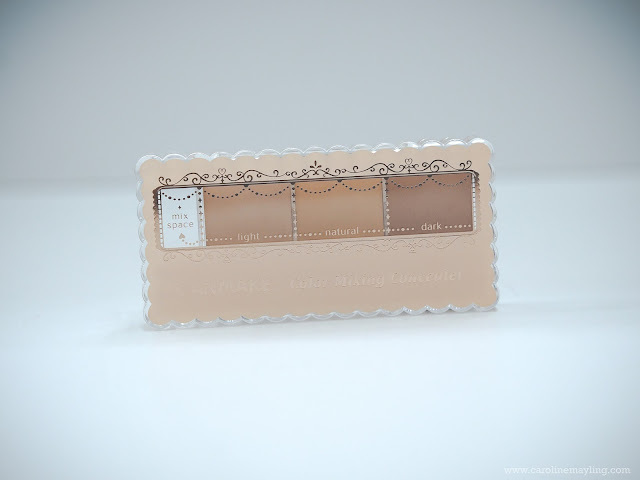 It has balm-y textures with more pigmentation that same as lipstick. Similar to the rest of their products, it contains beautifying and hydrating agents that gives you long lasting moisture. It helps to moisturize lips that prone to roughness while covering up those worrying vertical lines. The color of this lipstick is vibrant and somehow brightens up my complexion too! Love it! 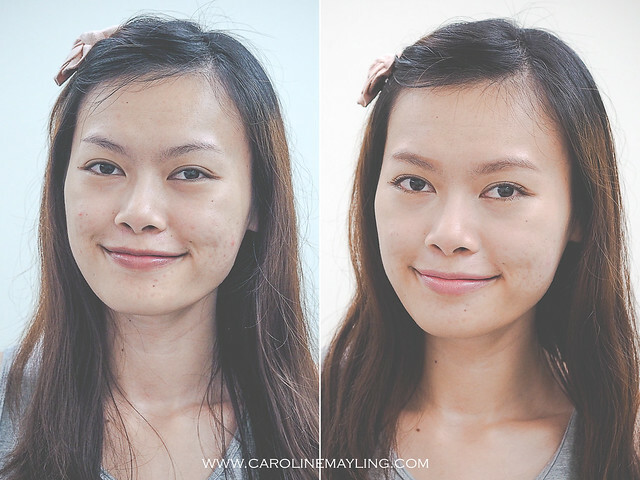 I skipped all the contouring and highlighting steps for my everyday makeup routine. And, that's all easy-peasy makeup tutorial for today! 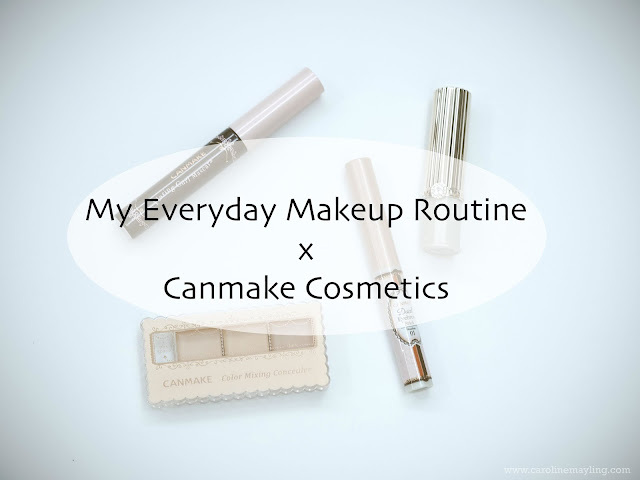 p.s: Do not forget to check out and follow Canmake on Facebook and Instagram! Very good article, and did you know that there is a online. Fly to Sapporo with AirAsia X!